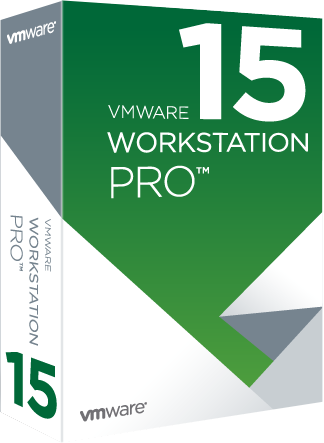 Winner of more than 50 industry awards, VMware Workstation is recognized for its broad operating system support, rich user experience, a comprehensive feature set and high performance. VMware Workstation is designed for professionals that rely on virtual machines to get their job done. - Run applications on multiple operating systems including Linux, Windows and more at the same time on the same PC without rebooting. - Evaluate and test new operating systems, applications and patches in an isolated environment. - Demonstrate complex software applications on a single laptop in a repeatable, reliable manner. - Consolidate multiple computers running web servers, database servers, etc. onto a single machine. - Build reference architectures for evaluation before deploying into production. - Simply drag and drop to move your virtual machines from your PC to vSphere, or the cloud. Seamlessly access all of the virtual machines you need, regardless of where they reside. - Remotely connect to virtual machines running on another instance of VMware Workstation, or on VMware vSphere. - Workstation’s web interface lets you access local and server hosted virtual machines from your PC, smartphone, tablet or any device with a modern browser. No Plugins necessary. Description: VMware Workstation transforms the way technical professionals develop, test, demonstrate and deploy software by running multiple x86-based operating systems simultaneously on the same PC. Built on 15 years of virtualization excellence and winner of more than 50 industry awards, VMware Workstation takes desktop virtualization to the next level by giving users an unmatched operating system support, rich user experience and incredible performance. Pročitaj nfo fajl unutar rar arhive za instalaciju.